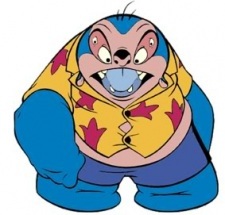 Professor Jumba is an evil genius alien and Stitch's creator. He is assigned by the Galactic Council to watch over Stitch, and lives with Yuna and Obaa. He is much friendlier in this series than the original, and has less of a penchant for evil.